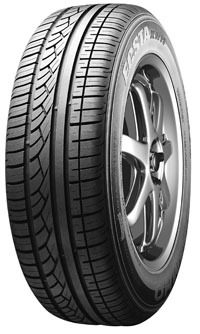 A summer touring tyre designed by Kumho and produced ideally for use on sports cars, coupes and sporty editions of popular every day cars. As with all Kumho tyres comfort is paramount but not at the expense of perfomance and this is no different with the Jumho KH11. With great traction in the wet and supreme handling in the dry, the KH11 is truely a joy to drive on.